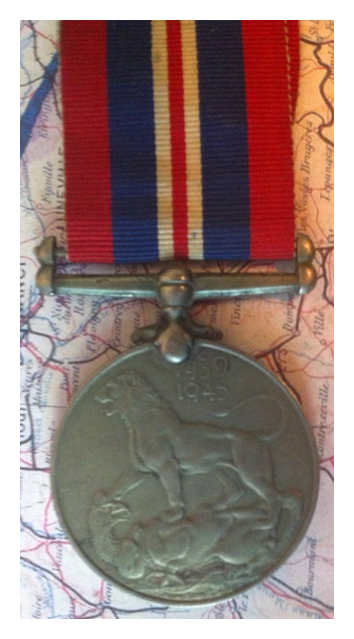 This medal is identical to my other British cupro-nickel War Medals with the exception of the mentioned in dispatches device which is affixed correctly to the ribbon. 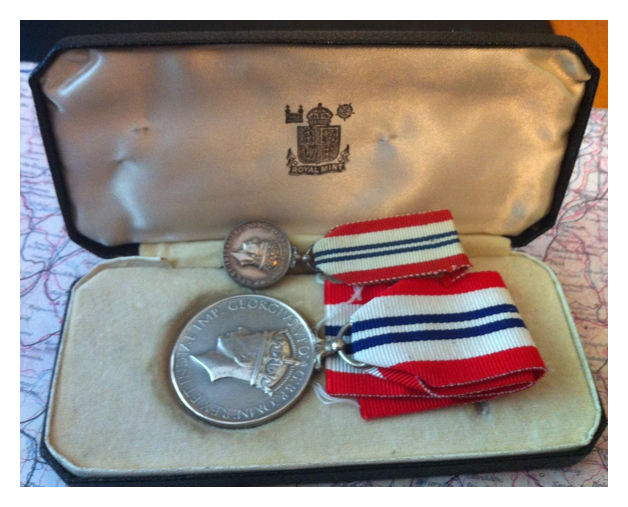 The nickel medals were issued to British and other Commonwealth troops with the exception of the Canadians who received a silver one. 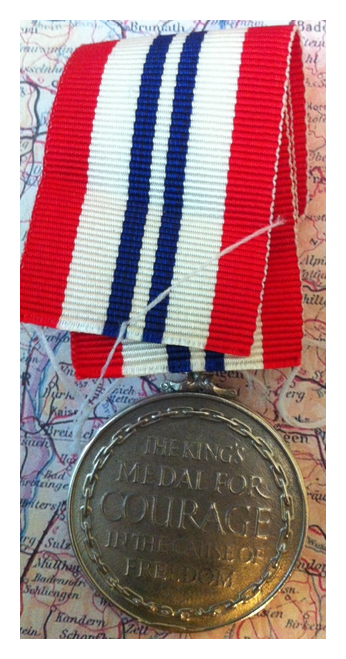 The King’s medal was issued in two versions: The King’s Medal for Courage in the Cause of Freedom and the King’s Medal for Service in the Cause of Freedom. 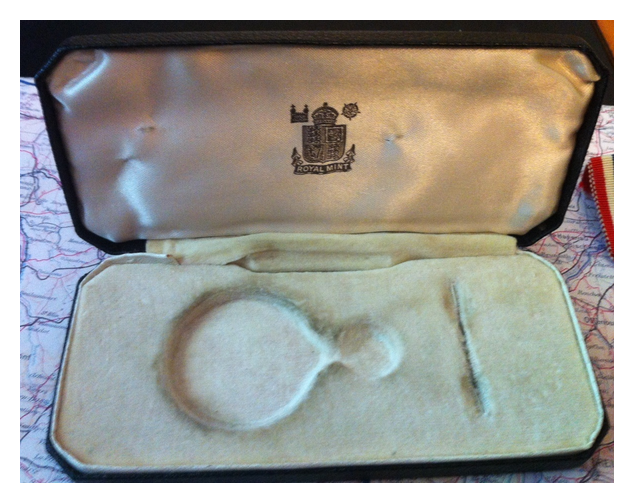 Both medals were silver and 36 millimetres in diameter. 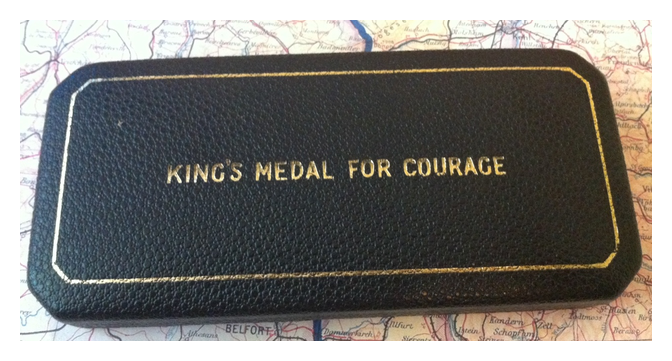 The King’s Medal for Courage in the Cause of Freedom was introduced on 23 August 1945, to mark the acts of courage by foreign civilians in the furtherance of the British Commonwealth in the Allied cause. It was primarily intended to reward those foreign civilians who had assisted British escapees in enemy occupied territory. 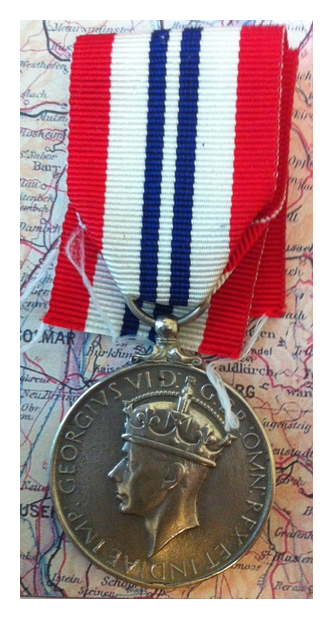 The medal’s obverse has the crowned profile of King George VI, with the text “The King’s Medal for Courage in the Cause of Freedom” on the reverse. 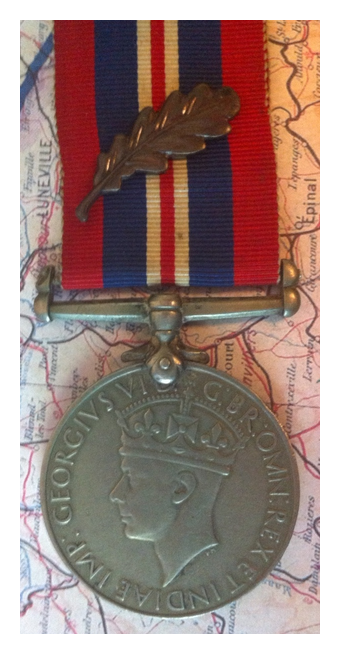 The medal’s ribbon was white with two narrow blue stripes in the centre and two broad red stripes at the ribbon’s edges. 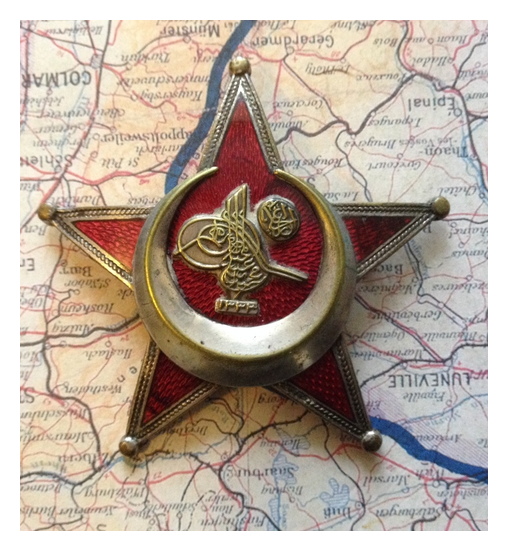 There are a number of fakes of this medal in circulation, all cast from the same original. Look for an edge bruise at 5:30 on the medal and avoid if you see it. 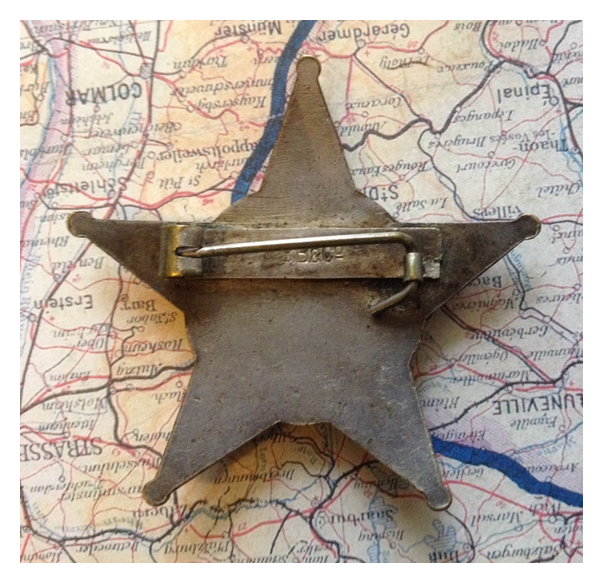 My example came with some Free French membership badges which were numbered, offering me an opportunity to research and discover the recipient. Excellent.